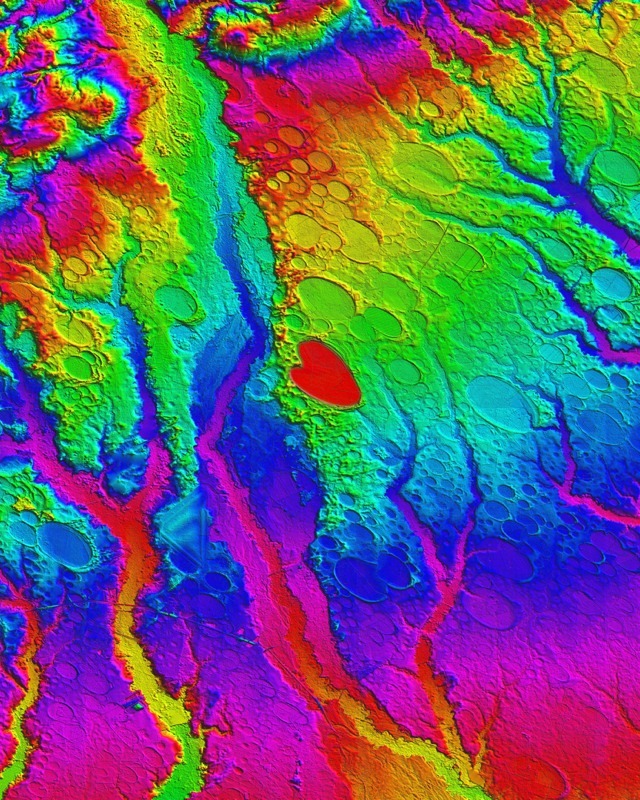 Here is a cool LIDAR image of the Carolina Bays in the vicinity of Maxton, N.C. from Michael Davias. Note he highlights a special one that is hard to explain — from any perspective. Michael also has a new Google Earth file I’ll post soon. I haven’t seen the file yet, as my laptop is down (again!?). The good news is I have now downloaded a (this time well working) blogging tool. My other one, from WordPress, was very buggy and no fun. This one, from BlogPress, is really cool. So, I’ll be doing even more posting I hope. My pace had already quickened recently as a result of a hosting upgrade from GoDaddy, that makes publishing much faster and less tedious. I am curious in this regard, have you readers noted the pages loading faster? Hopefully you have. I know it was slow before and that was bad form on my part. If I am going to blog, I should do a lot of it, have a lot of cool helpful media, and make sure it loads quickly. I might just have all this checked off right now.